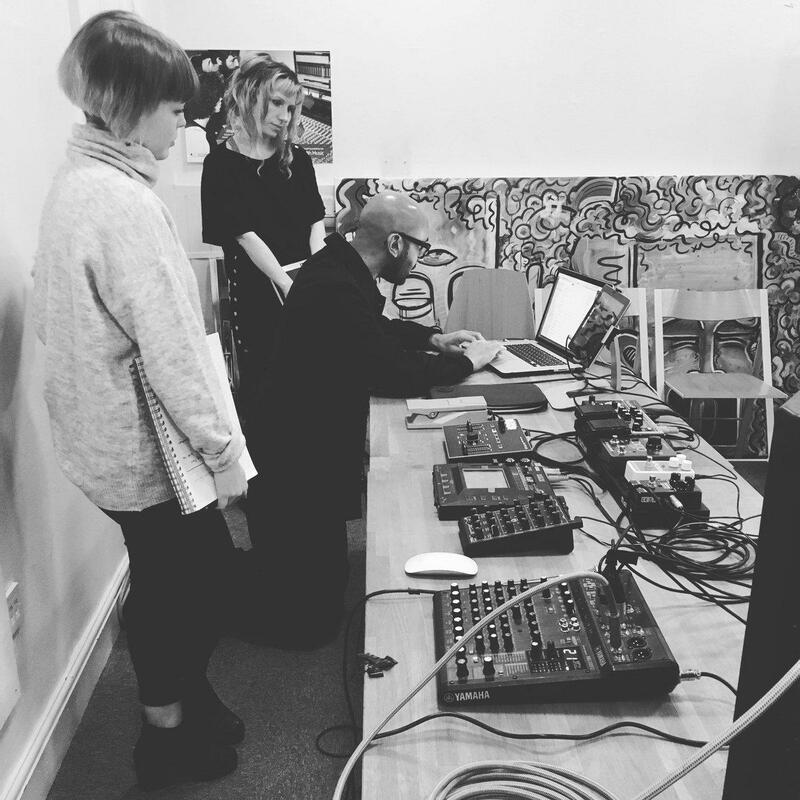 Carmel Smickersgill, one of our two young composers, gives us an insight into what they’ve been getting up to with music makers Jason Singh and Kevin Ingham. Over the past couple of months myself and Johnny James have been stretching the boundaries of our musical practise and generally ‘disrupting’ the ways we usually work. 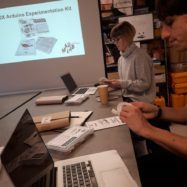 Part of this experience has been through meeting new artists and technologists and learning a bit about the tools they use in their practise. 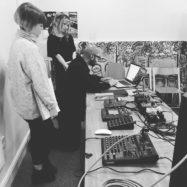 This started with a workshop from the Manchester based beatboxer, composer and sound artist Jason Singh. He is an incredibly versatile musician! We started by talking a bit about how we all worked and what we did. Then Jason showed us the set up he uses to create everything from sound installations to beats. It made me appreciate how learning a set up like that can be as virtuosic as learning an instrument. Although Jason is a vocalist I think his instrument extends beyond his voice to the pedals and apps he uses in manipulating vocal sounds. Like a super human vocalist. It was seriously impressive. He then let us experiment with some of the equipment he uses. I was particularly interested in an app he used called Borderlands. It allows you to record or work with pre-existing samples live and is all done through a very aesthetically pleasing interface. I could definitely see myself using the app in future pieces. Jason was quite an inspirational person to meet and talk to. Music has featured heavily in his life but in many different forms and for different reasons. I think this allows him to be very open to a wide range of genres and creative practises. This is something I also try to be, as I always learn more from people outside of my own world. We both definitely got away from our own worlds though when, later in December, we had an Arduino workshop with Kevin Ingham. Having never coded before we both went into Mad Fab Lab in the northern quarter with our minds completely open. For me the inspiration to learn about this tech definitely came from having attending the Algorave back in Sheffield in November as part of Algomech Festival. I had never associated coding with music making before but the Algorave coders proved how powerful a tool it can be. 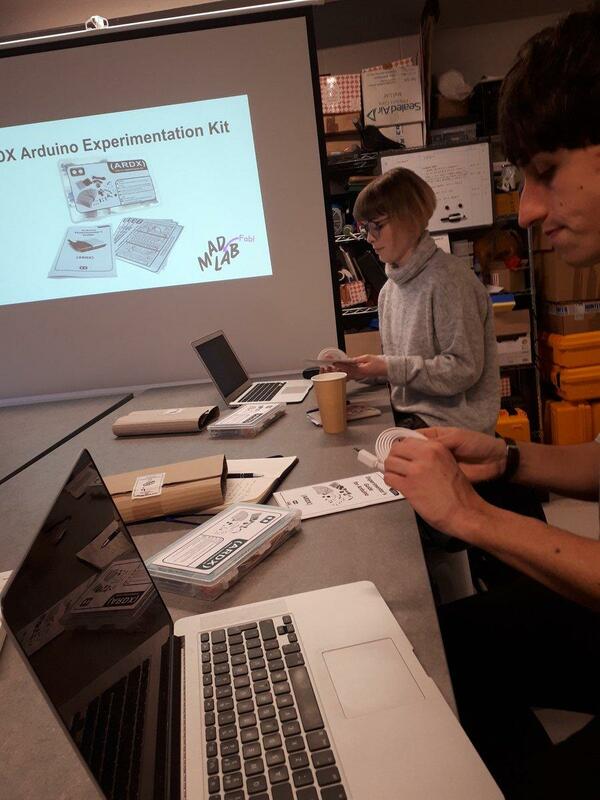 Kevin who ran the workshop was an efficient teacher and talked us through the Arduino’s history before we got started. This is where we came across what has become one of my favourite quotes. The Arduino uses a lot of open source software. While discussing open sources Kevin mentioned that the American activist and programmer Richard Stallman describes the lack of a price tag on open source software as “free as in speech not as in beer”. I have been saying this to people ever since! We then moved onto trying out very simple circuits with the Arduino and a bread board. They were a perfect follow on from the workshop we’d done earlier in the month with our mentor Vicky Clarke. 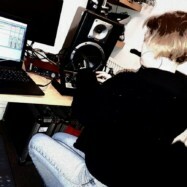 She helped us make some modular synths (or light theremins) using simple circuits on a bread board. The more examples we tried out the more I got an idea of just how endless the uses of an Arduino board are! The coding is simplified so it’s much easier to learn quickly and use. I left the workshops thoroughly enthused and spent Christmas programming a small buzzer to play carols and Christmas songs. 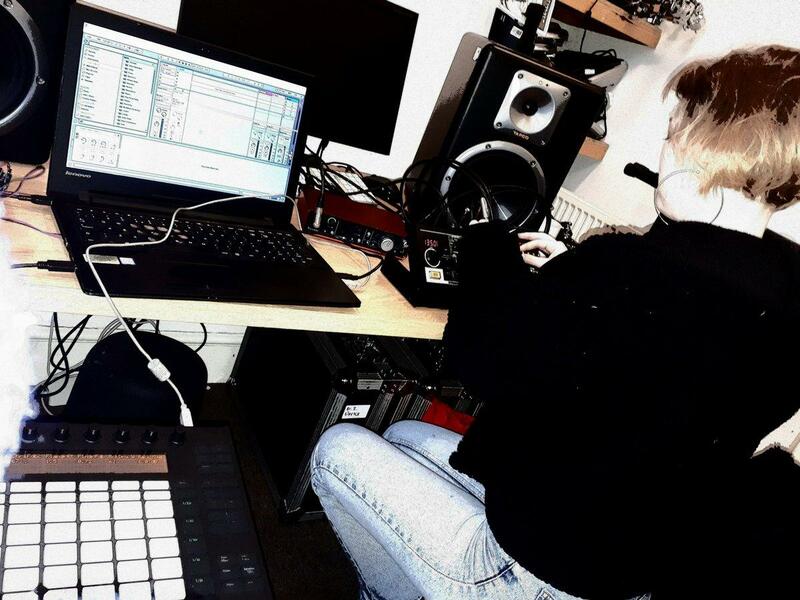 A month on and I’m now looking into, with Vicky’s much appreciated help, adapting the Arduino to be used as a midi controller that can be mapped onto Ableton and used in live performance. Bearing in mind that I didn’t have any knowledge about these kinds of very physically present and real electronics only a couple of months ago. I’m thrilled to be able to have had the chance to learn these new skills and use them almost instantly! I cannot wait to see how far I can get with them as well as this project progresses. We shall see.